Poolheatpumps.com Blog | Can Pool Heat Pumps Be Installed Indoor? Can Pool Heat Pumps Be Installed Indoor? At least twice a month an individual will call looking to heat an indoor pool and want to know if a pool heat pump can be installed indoors to heat an indoor pool. The answer is, it depends. Pool heat pumps need air that has an ambient temperature of 50 degrees Fahrenheit in order to function and produce heat. After moving the heat out of the surrounding air the pool heat pump expels cold air. If the indoor space where the pool heat pump is mounted is small, say a closet or room with the pool pump, it will not be long before the air temperature of that room is below 50 degrees – from all the cool air being vented by the pool heat pump. At that point the pool heat pump will shut down. If the room is large and well heated, and I do mean well heated, then installation of a pool heat pump inside will work. I have even heard of a case where an electric heater was mounted close to the pool heat pump to make sure it always had a source of warm air. 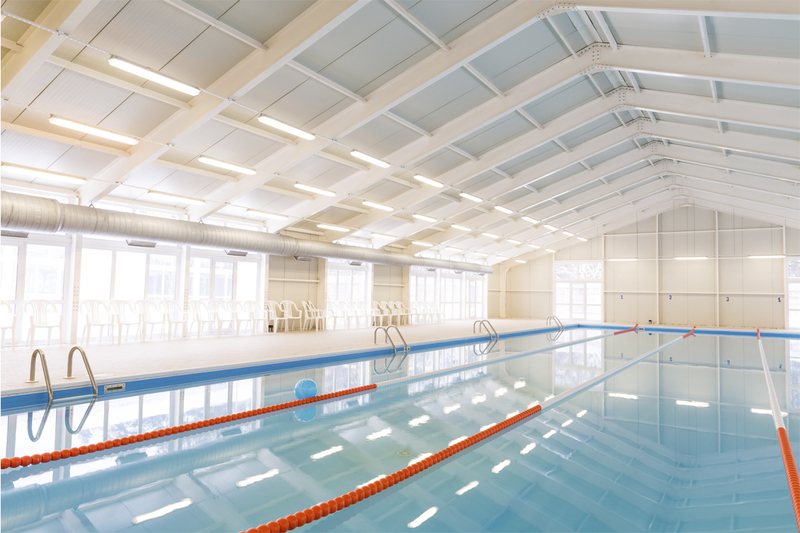 An added feature of using a pool heat pump indoors is they are dehumidifiers. They will keep the room dry which should keep mold from occurring and keep wood from rotting. We had one customer in Minnesota install a pool heat pump indoors with the intention of using it year round. Knowing it would be tough to keep the room properly heated during the winter months the picture below shows his solution. He vented the cold air produced by the pool heat pump to the outdoors. Now, I am told that there are some engineering issues to doing this, and I do not pretend to understand exactly what those issues are. Suffice to say, if venting is not done properly it puts undue stress on the compressor. I think most pool professionals will dismiss the idea of putting a pool heat pump indoors to heat an indoor pool, but where there is a will there is a way.